PLEASE NOTE: Any ready to ship pieces purchased between November 30 and December 10 WILL NOT SHIP UNTIL DECEMBER 11. Ground shipping will take 4-10 business days to most USA/Canada locales, and 3-5 business days overseas. If the arrival of the piece you want is time sensitive, please keep these timelines in mind. 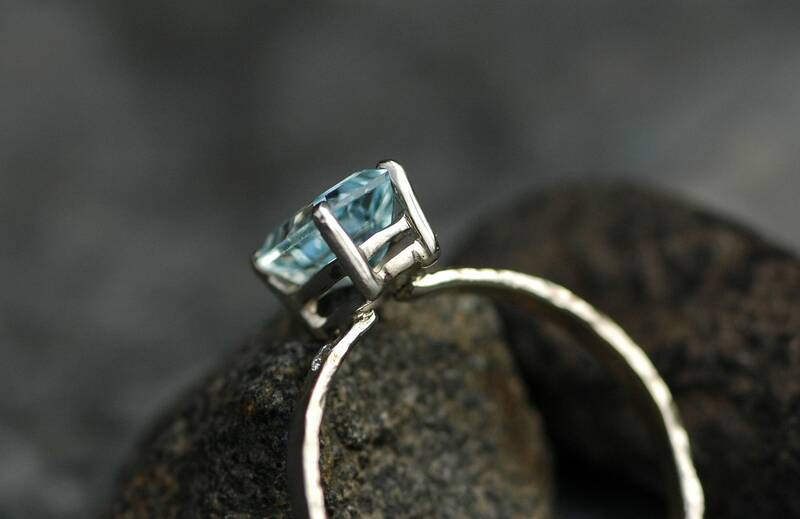 This aquamarine, diamond, and white gold ring is ready to ship. It is a size 8.5. 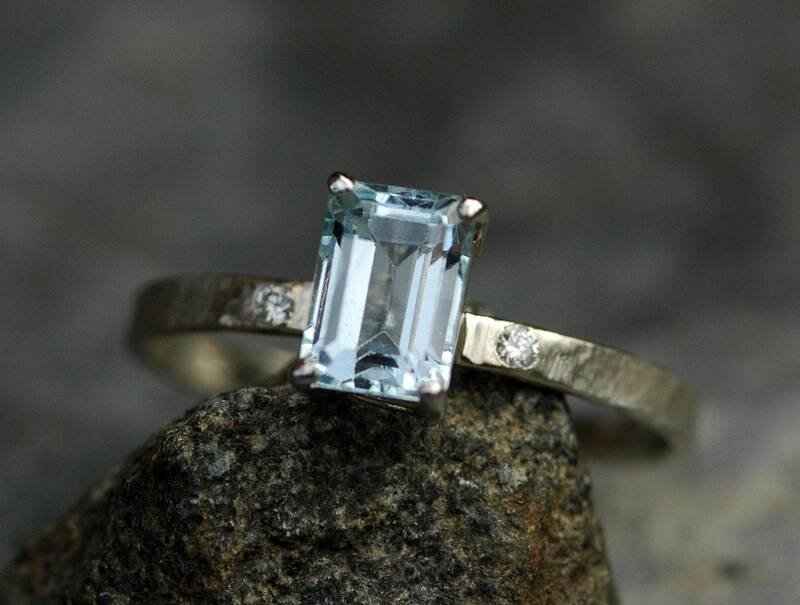 I have built this ring around a gorgeous cut aquamarine. 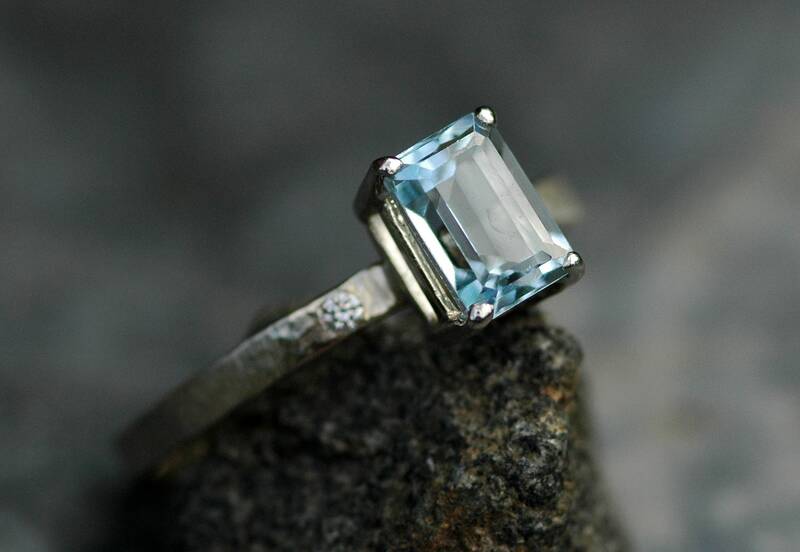 This stone has no inclusions, and has a beautiful medium blue color. This is from a parcel of stones that I bought from my local coloured gemstone deal, and were the nicest he had available. 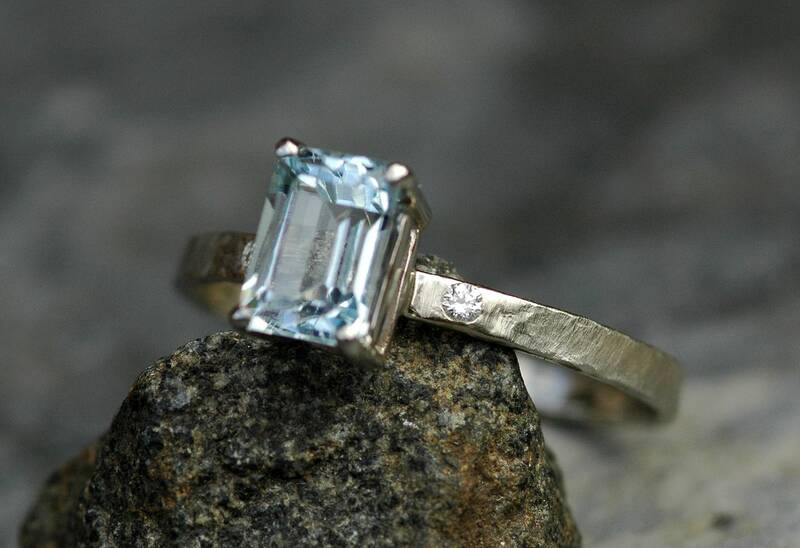 The aquamarine is 7 x 5, and weighs around one carat. The band is solid, unplated white gold. It is 2 mm wide, and 1 mm thick. It has been given a hammered, brushed texture. 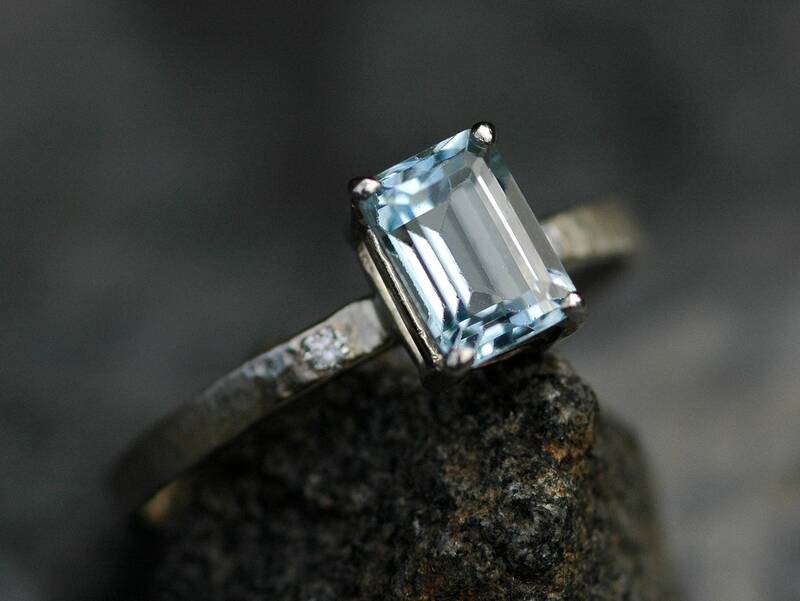 The aquamarine is flanked by two small cut white diamonds. 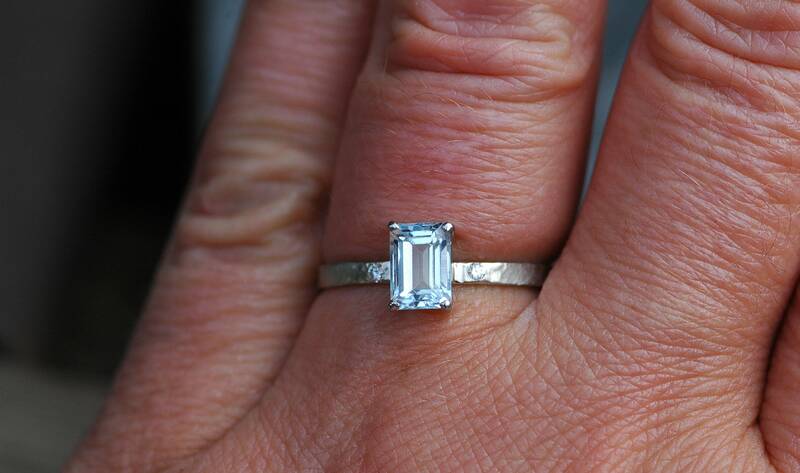 These white diamonds are flush set down into the band. 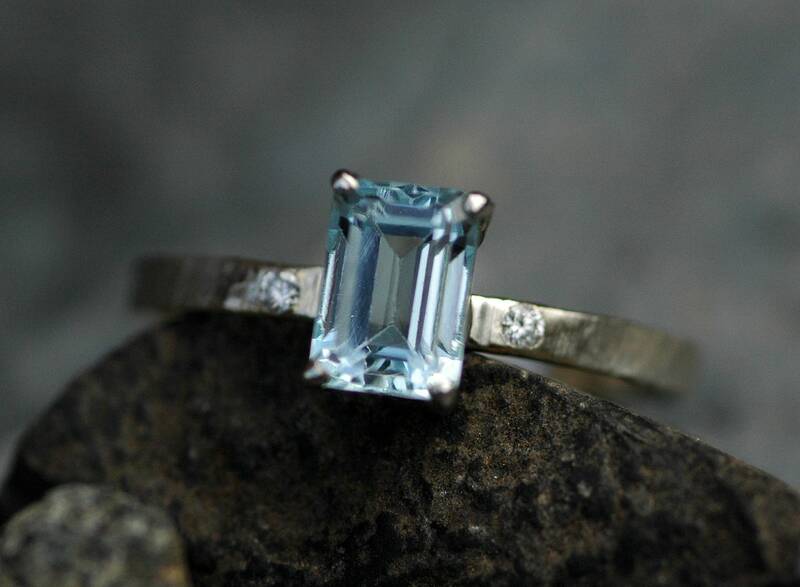 Aquamarine is the birthstone of March, and diamond is the birthstone of April. For the sake of total accuracy, please note that one of the small struts on the prong setting has a bit of a wave to it. 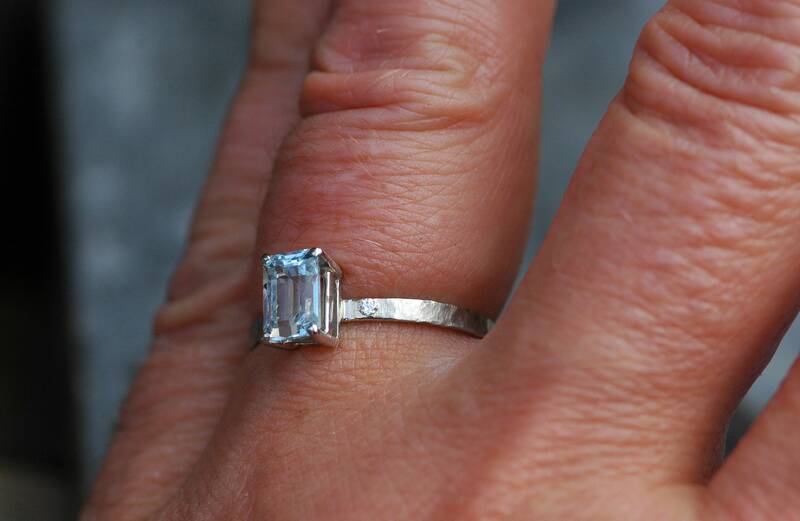 This is not noticeable when the ring is worn, unless you are looking extremely closely for it. 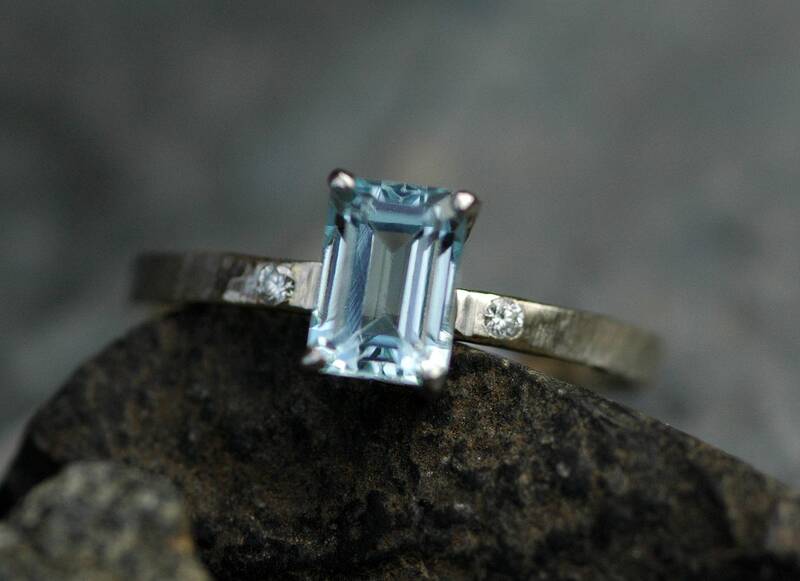 This does not detract at all from the beauty and stability of the ring, but I wanted to make a note of it.